Vida de Mar is the perfect Caribbean rental for a family with older children or friends traveling together. This beachfront villa only minutes from the shops and restaurants of Cruz Bay, yet its quiet beachfront location provides plenty of tranquility. With a private swimming pool, hot tub, and sunset views, this island home has everything you’ll need. Best of all, Vida de Mar is only a short walk to the beach for some of the island’s best snorkeling! Vida De Mar is an oceanfront villa with private beach access, indoor and outdoor living spaces, and five comfortable suites. Solar panels garnish the roofs, and extravagantly lush palm trees surround the property lines. Umbrellas, loungers, and an L-shaped pool enjoy endless views of the sea. The villa’s pool is equipped for games of pool volleyball, and the Jacuzzi is secluded on its own private deck. A dining deck with a gas grill sits between the pool and Jacuzzi with seating for eight and ocean views. Vida De Mar also enjoys private access to a rugged coastline with ocean entry. Vida De Mar’s warm interior incorporates the living, dining, and cooking areas into one cohesive space. Guests can relax in the sectional to watch a movie, dine inside or out, and prepare gourmet meals using the kitchen’s built-in appliances. The bedrooms are comfortably designed in individual cottages with ensuite bathrooms and exterior access. In the front cottage, there are two king suites with a kitchenette and parking lot access. In the second cottage, there’s a king suite with garden views. The beach cottage sits on the lower level and holds a dual suite with two twin beds, a queen bed, and a private deck. 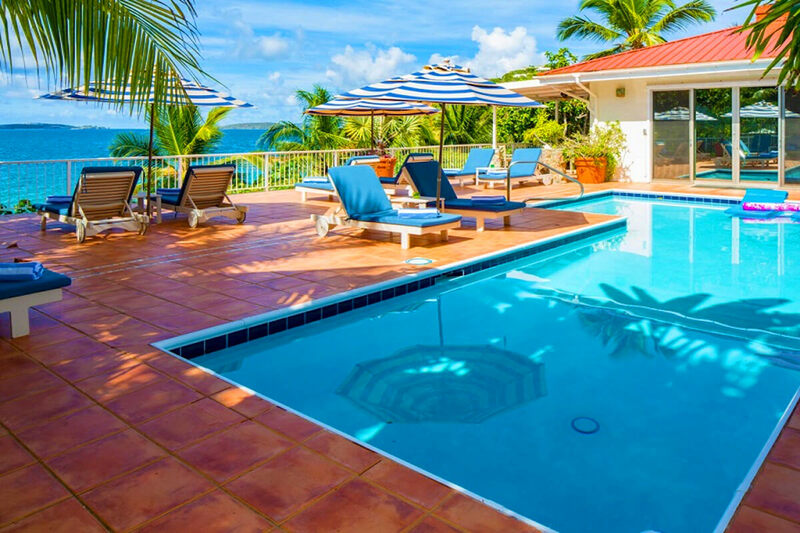 Vida De Mar sits right on St. John’s southwestern shoreline near town and the world-famous North Shore. Dever’s Bay is a quiet region of the island, but there’s plenty of action nearby in Rendezvous or Cruz Bay. Welcome - best for older children. $50 fee for arrivals after 7 pm; over the holidays; Maid service can be arranged at an additional cost. My family and I (grandfather 87, 6 adults, 2 children) just returned from a glorious week at Vida de Mar Villa on St. John. After a very extensive search for a villa on St. John, it was clear that Vida de Mar was the place for our large family. When we arrived, the villa exceeded everyone’s expectation. The main house, enormous deck, pool, and hot tub are perfect places for all to gather for fun and laughter. The kitchen has a new refrigerator and the deck has a new gas grill. The sweeping views are breathtaking and make preparing meals a treat even on vacation. Each bedroom is private allowing each family group ample space at the end of the day. The outdoor showers were a favorite, especially in the rain! The privacy of the Hibiscus Suite was perfect for grandfather, and the WiFi was just what grandfather needed to check his stocks each day while the rest of us enjoyed snorkeling, sunbathing, and turtle hunting right at our very own private beach. We had kayaks delivered to the villa and used right at our own beach on calm days. Evenings were filled with beautiful stars, soft music on the outdoor speakers, and sounds of the surf from the beach below. The iguanas, birds, and roosters were the perfect vacation low-maintenance pets! If you have a large group heading to St. John, look no further, this is the place for you. Tips: preorder groceries and have them delivered from Starfish to villa before you arrive! Get jeeps on St. Thomas and take car ferry! 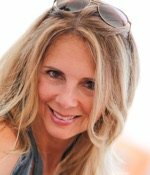 Shawna Dunaway was fantastic to work with throughout the whole process of villa search, booking, and answering our 100’s of questions. Shawna was always prompt and clear with her responses. She was a pleasure to work with. The entire management company was very professional and great to work with.